Whilst the “acute hypothesis” was originally coined to describe the detrimental effects of concurrent training on strength development, similar physiological processes may occur when endurance training adaptations are compromised. There is a growing body of research indicating that typical resistance exercises impair neuromuscular function and endurance performance during periods of resistance training-induced muscle damage. Furthermore, recent evidence suggests that the attenuating effects of resistance training-induced muscle damage on endurance performance are influenced by exercise intensity, exercise mode, exercise sequence, recovery and contraction velocity of resistance training. 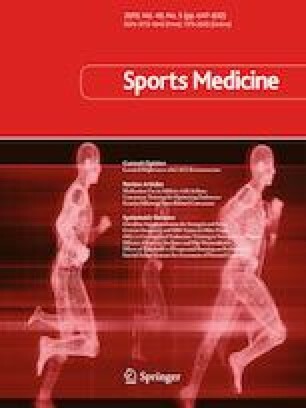 By understanding the influence that training variables have on the level of resistance training-induced muscle damage and its subsequent attenuating effects on endurance performance, concurrent training programs could be prescribed in such a way that minimises fatigue between modes of training and optimises the quality of endurance training sessions. Therefore, this review will provide considerations for concurrent training prescription for endurance development based on scientific evidence. Furthermore, recommendations will be provided for future research by identifying training variables that may impact on endurance development as a result of concurrent training. Kenji Doma, Glen Deakin, Mortiz Schumann and David Bentley declare that they have no conflicts of interest relevant to the content of this review.